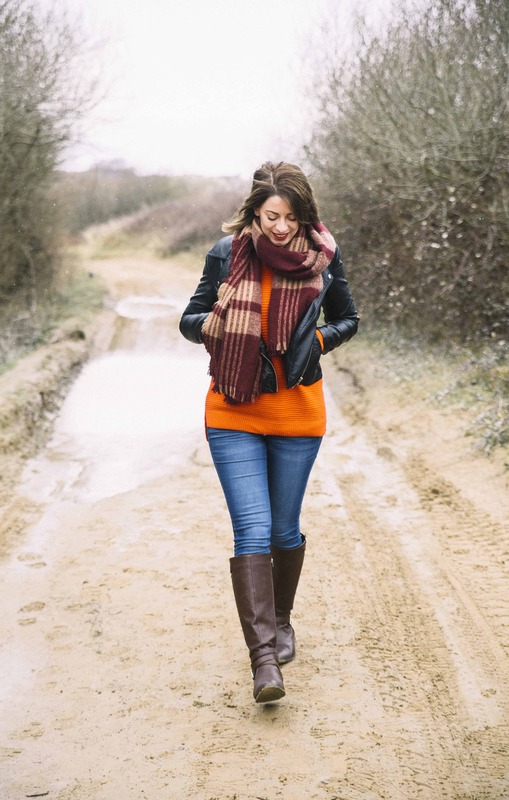 If you follow me on any of my social media channels you have probably seen me going on and on (and on!) about Boom Kitchen curry kits. No, they are not paying me – I just absolutely love them! 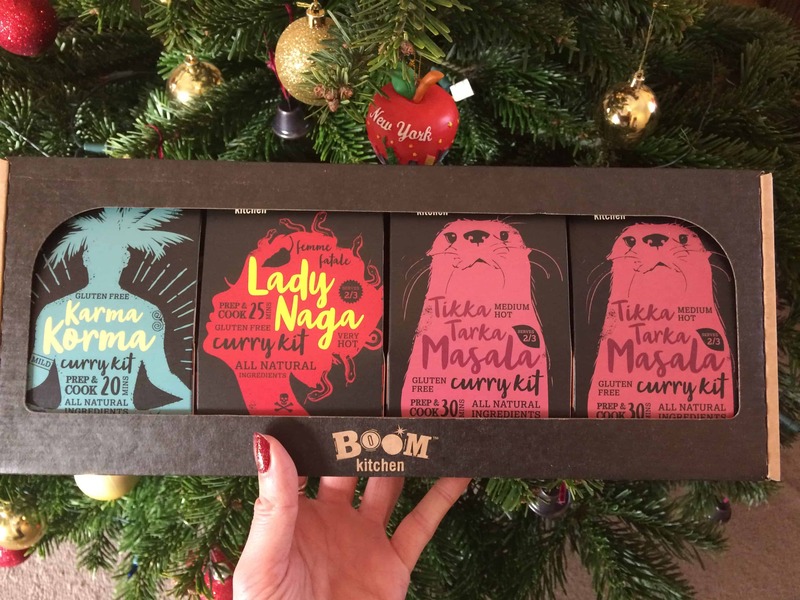 I blogged about Boom Kitchen when I discovered their curry kits – which happened to be gluten free – a few years ago (read my review here) and I have been eating them ever since. They come in five flavours: Lady Naga (hot! ), Jalfrezi, Korma, Bhuna and Tarka (tikka) Masala. You get a funky looking kit (and you can buy gift boxes, thanks to my aunt for my lovely gift box over Christmas!!) 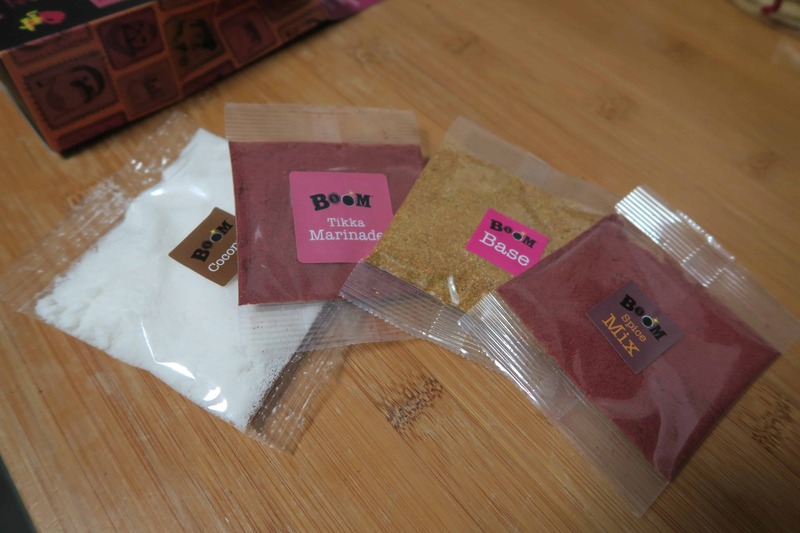 with various sachets of magical spices and ingredients, and instructions. 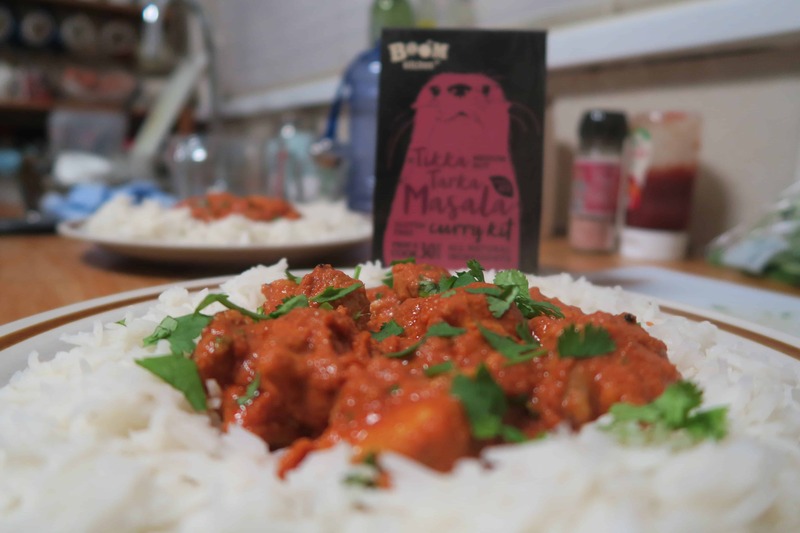 The Tarka Masala is my favourite for sure – it’s the perfect mix of creamy coconut, tangy lemon and tomato, a kick of spice and a glorious orangey-pink colour. 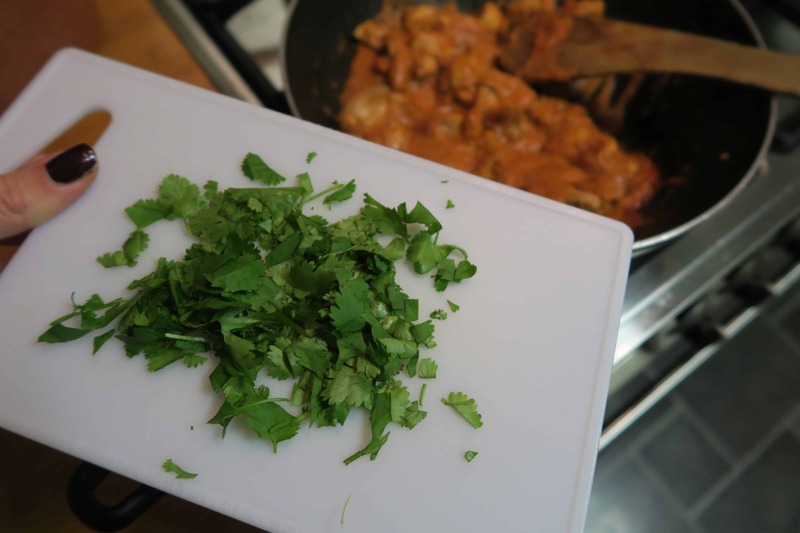 So I decided to take you through making one step-by-step – basically the perfect excuse to make a curry! Step one: Gather your ingredients and crack out a gluten free beer. True story – drinking beer is part of the instructions, therefore must be compulsory, right? 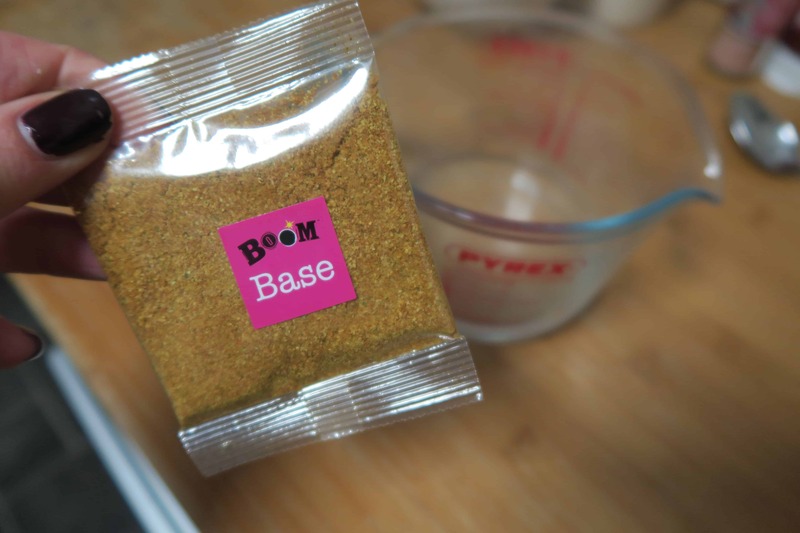 I tried my first ever gluten free beer with a Boom Kitchen curry kit – you can watch the video evidence here. Step two: Marinade your meat. 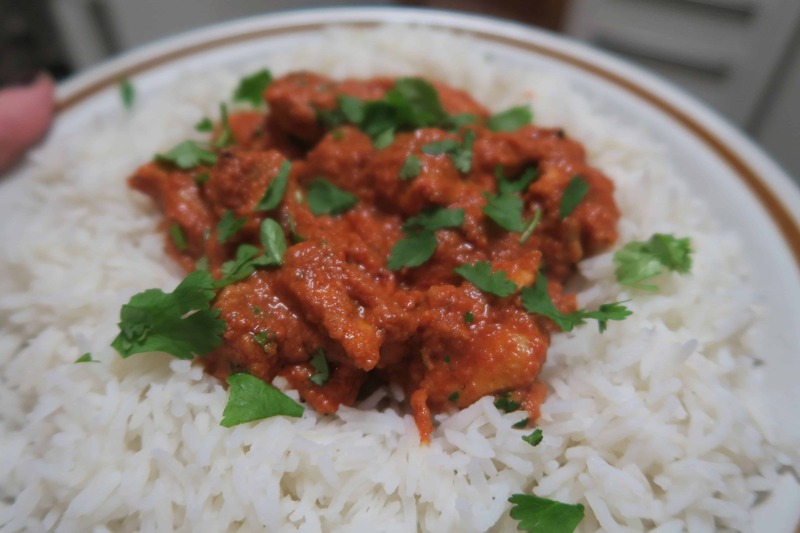 I love this tikka masala made with chicken thighs – they are cheaper than chicken breast and so much tastier! 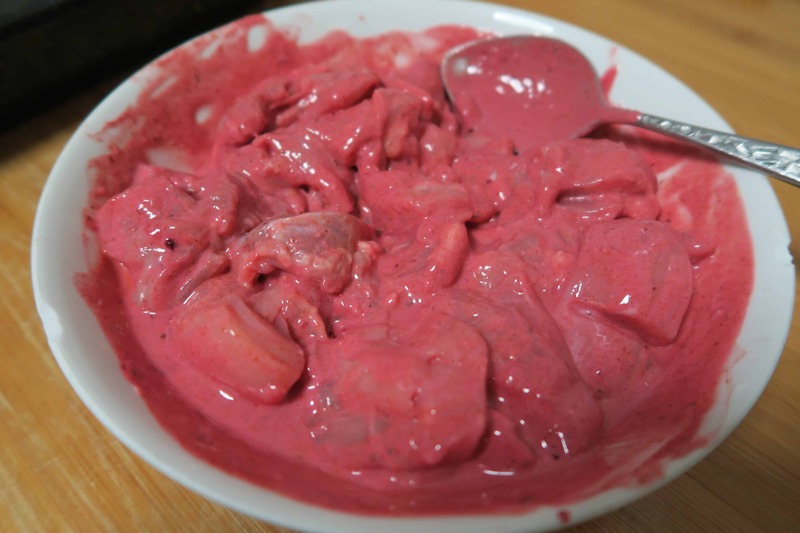 You make the marinade for the tikka using the sachet of marinade sauce with, lemon juice, garlic and yoghurt. You then bake this in the oven while you crack on with the sauce. Step three: You need your Boom Base – the key ingredient in all of these curries. Simply mix the sachet with boiling water, it smells divine! Step four: Put your sauce together. 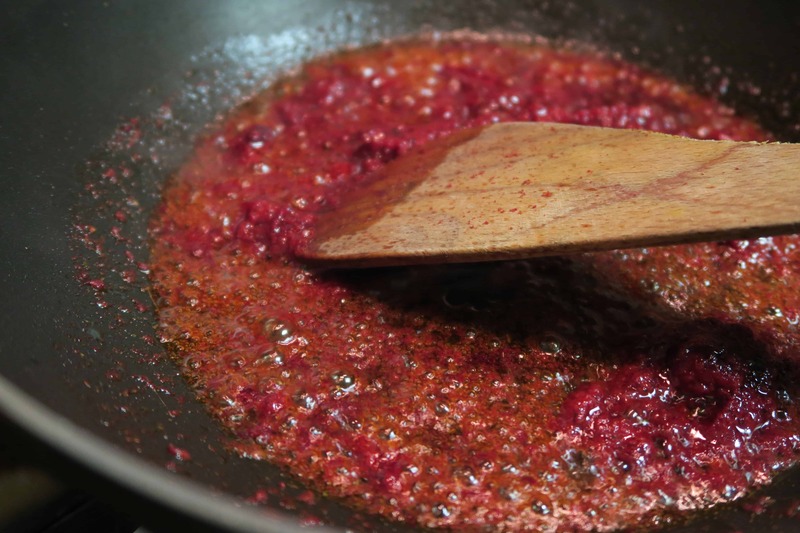 Start by frying tomato puree, the Boom Spices, garlic and oil. 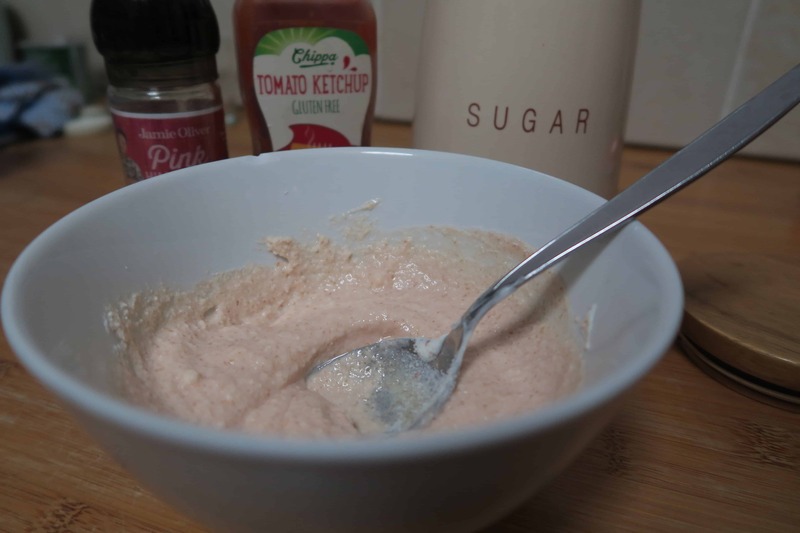 In the meantime you’ll need to put together your yoghurt mix – which combines the sachet of coconut with yoghurt, gluten free ketchup (I used Chippa’s), sugar and salt. Step five: Mix it all up. 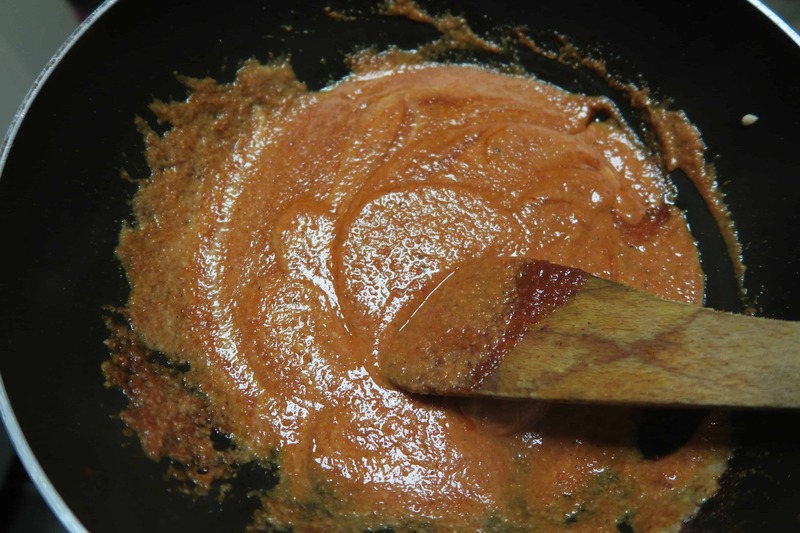 Once you’ve added the Boom Base to the beginnings of your sauce and it’s thickened up, add the yoghurt mix and it becomes a magical masala-looking sauce. Once the chicken is cooked, add this in too. Step six: Finish it off. Stir in some chopped coriander and serve it all up! I like mine with basmati rice and some poppadoms, but you could find a gluten free naan bread to go with it too. 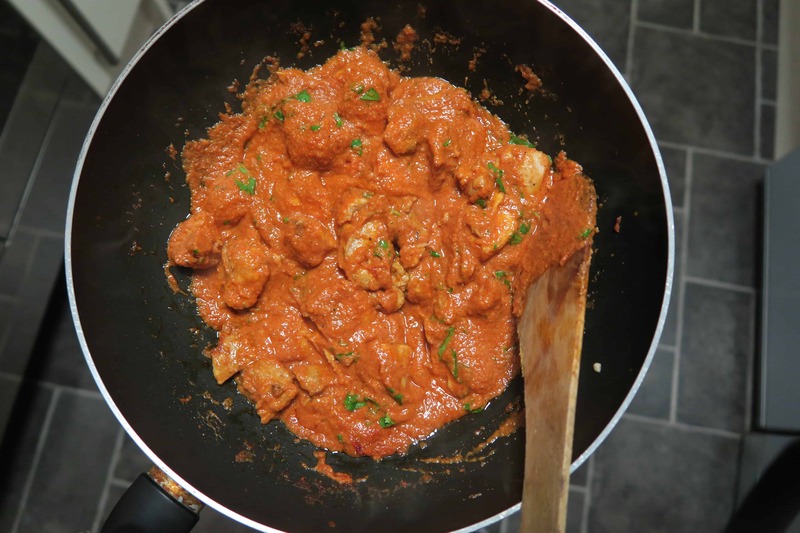 The results are amazing – it looks, smells and tastes better than any takeaway in my opinion! So there you have it, the perfect curry in just under half an hour! The other kits are even quicker as they don’t require any oven-baking, just all in one pan. 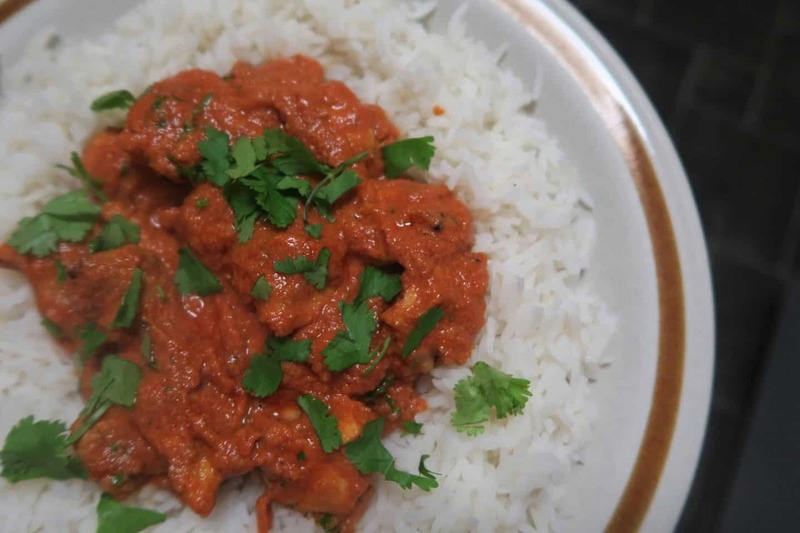 And for anyone worried about the Naga curry – you must try it! I’m not too good with really spicy food but this was delicious, it had the perfect kick and the taste of Naga is amazing. 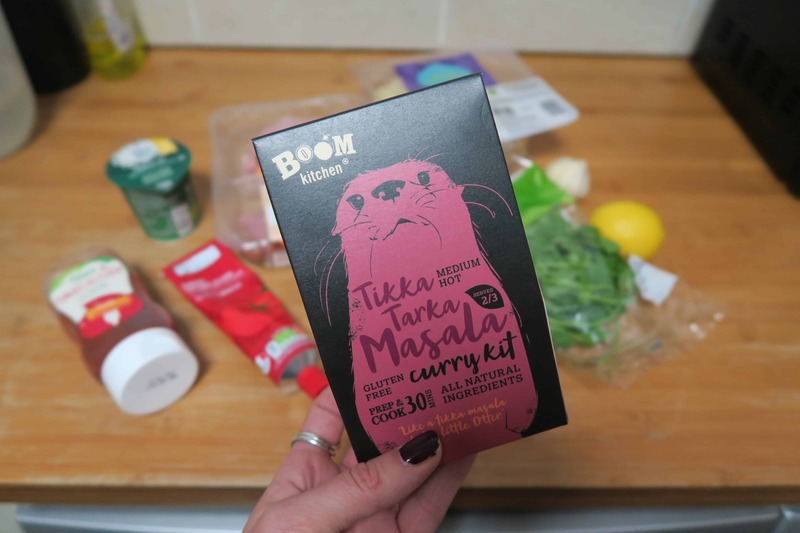 Have you tried a Boom curry kit? If not, you are missing out! Order them on the Boom Kitchen website here. 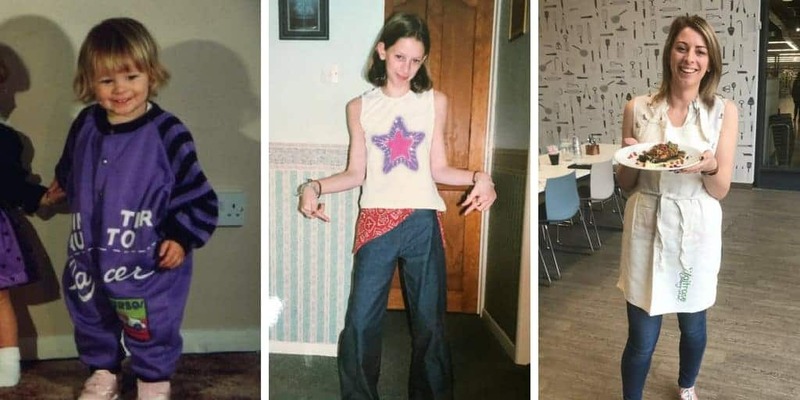 If you make one, let me know or share your photos on my Facebook, Twitter or Instagram pages.